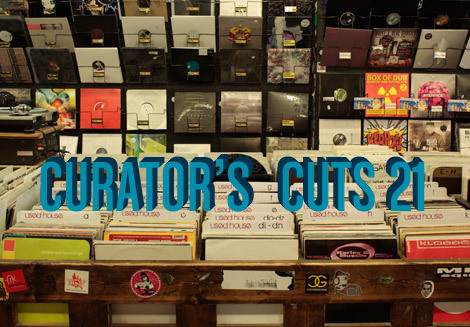 In a departure from the regular format of LWE’s Curator’s Cuts series, the 21st edition features some of LWE’s writing staff discussing five of electronic music’s prevailing trends in 2011, noting some of our favorite underrated tracks, and opining on what 2012 might have in store for us. Editor-in-chief, Steve Mizek, served as the moderator of a conversation between Per Bojsen-Moller, Steve Kerr, Chris Miller, Jordan Rothlein, and Andrew Ryce. Good point about the access of records that are freely available on Youtube, I know it’s helped me discover music that I wouldn’t have come across just by simply browsing Discogs. I’m with Chris, pop and techno should stay well clear of each other! It doesn’t affect what I listen to, its just the musical snob in me reaching the surface. Say no to any trends in trance! techno is commercial in its inception. wasn’t the electrifying mojo playing pop music on the radio? True as that may be, he (and a few Chicago stations) were the exceptions rather than the rule. Now every pop radio station plays techno as pop as the rule. Re: the ‘bass music scene’, I think there is a tendency (especially in American journalism or places disconnected from the geographic centres in question) to mythologize. It has almost become a lazy critical cliché to invoke the names of DMZ and FWD// as some sort of precedent or historical referent to hang all of this new hype on… not quite so. Many of the producers that you discuss in the context of ‘bass music’ never had anything to do with events in London such as that (trust me, I was there). You talking about Joy O and bass music, for example, is telling: Joy O was making Euro-inflected fidget-house music with A1 Bassline when FWD// was in its hey-day. I think you’ll find – perhaps being more cynical, here – that the ‘bass music’ scene is less a case of a focused musical cénacle (which is what people outside of London like to talk about in reverent tones) and more a simpler case of it being a ‘fashion’. True, London has been an incredibly fertile and productive place for electronic dance music in recent years– and true, also, that there have been a few cultural hubs for this activity. But the vague, nebulous nexus of producers associated with the scene don’t quite have as much in common as the Internet likes to make out. Ben UFO has discussed openly (via Twitter) his thoughts that the concept of the ‘genre’ and ‘scene’ aren’t really valid anymore; they are merely tools in the critic/journalists (out-dated) toolbox. I think the only valid loose-association that you can use in the present polyphony of sound is the label (in both its curating and community functions)– this is where you can discuss ‘Hessle Audio’ as a term, for example, and have some critical validity. In all honesty I think ‘bass music’ is approached by the London community (if such a thing exists) with just as much wincing skepticism as ‘dubstep’ was before the inception of this new-fangled term. Otherwise a really enjoyable discussion. @brian – that’s what she said?